The 4.3 mile stretch between Beech Creek and Kyle’s Landing has been taunting me for a while – too far away for a day hike and too short for a weekend trip, but I finally checked it off the list today. 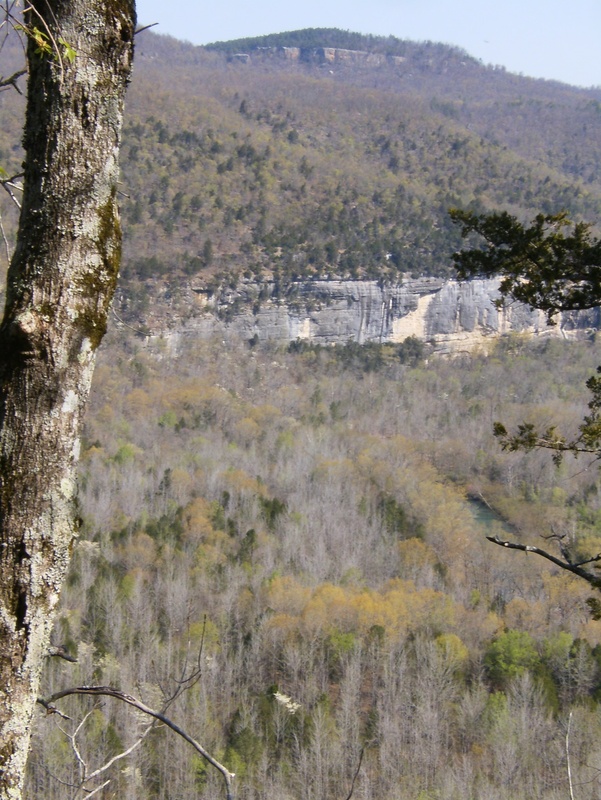 I can now say I’ve hiked all of the Buffalo River Trail – all three open sections plus parts that aren’t official yet. I hiked from Kyle’s Landing to Beech Creek and back. This starts with a 800′ climb away from Kyle’s and ends with a 750′ descent to Beech Creek. Add a 750′ climb and 800′ descent on the return and it was a pretty good workout for a relatively short trip. The trail is some distance from the river here but there are a couple opportunities to at least see it. During the climb west from Kyle’s Landing there is a vista looking up the Indian Creek drainage that would be a nice place to eat lunch or just sit for awhile. 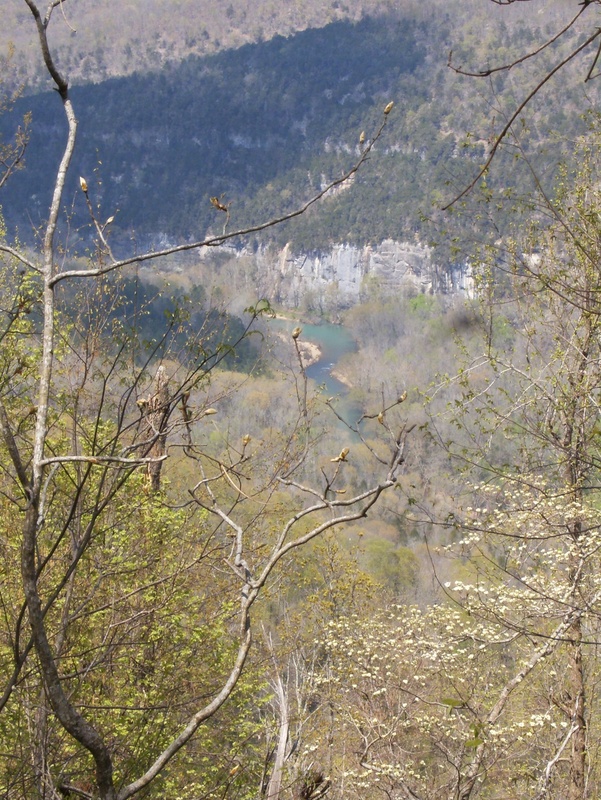 Even further up is a vista looking downstream to the bluff above Kyle’s… …and upstream toward Arbaugh ford. 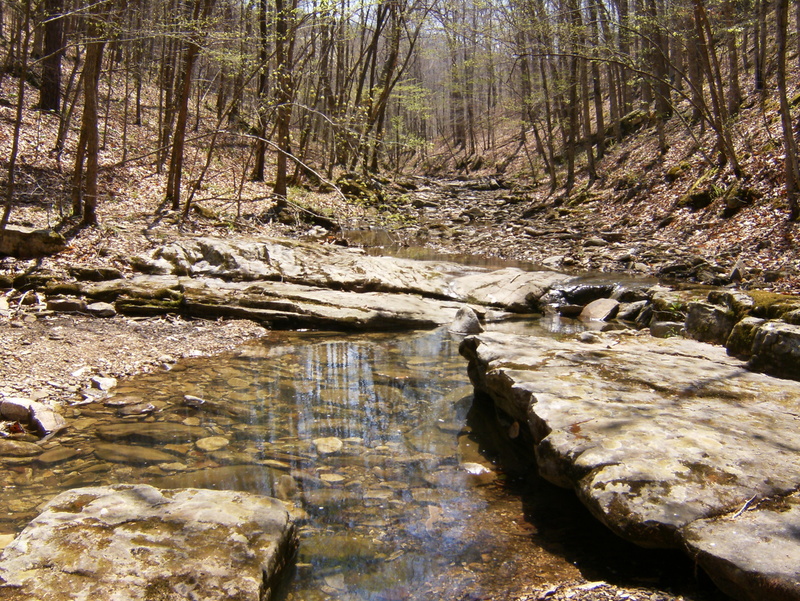 Beech Creek itself was a nice place to sit for a while too. I’ve still not hiked up into the Indian Creek drainage, which is a major attraction in the area. 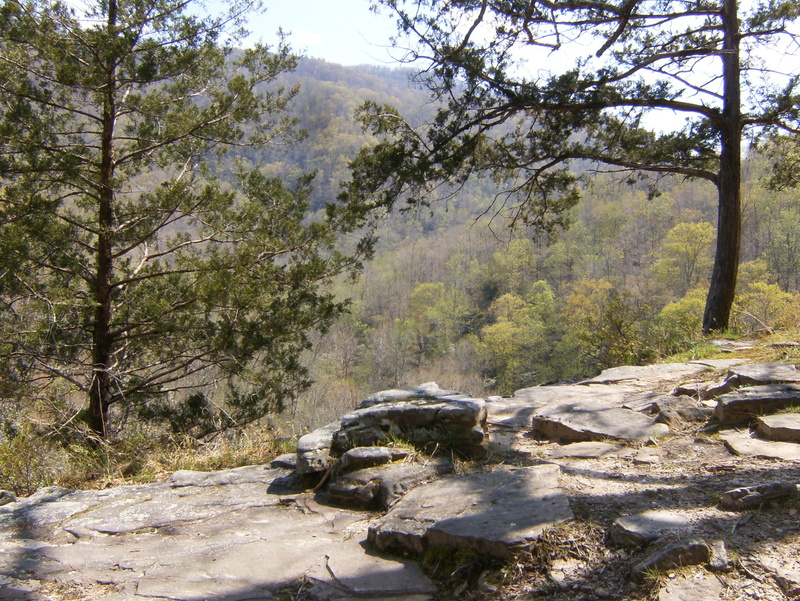 This entry was posted in Uncategorized and tagged Buffalo River Trail, Hiking. Bookmark the permalink.